Want beer on Sunday morning? Go to SaltWater Brewery. They’ll get you hooked up. SaltWater Brewery is starting a new monthly tradition with brunch this Sunday morning from Noon to 4 PM. 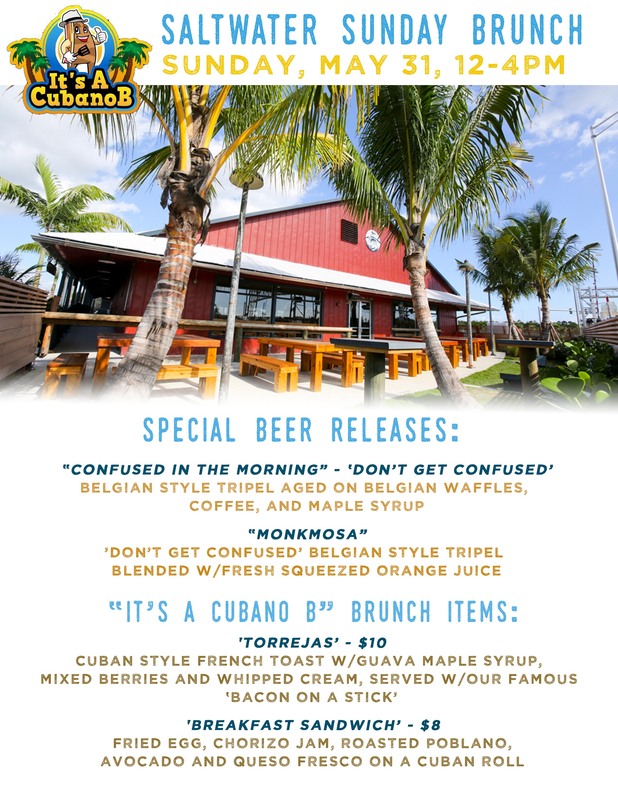 Food will be a la carte from It’s A Cubano B (both of these items look fantastic, BTW) and there will be tappings of two special treatments of their new workhorse Belgian Tripel Don’t Get Confused. Looks like a good time. If you go, let me know what you think.